Major, Lindsey & Africa (MLA), the world’s leading legal search firm, today announced the promotion of two new partners within the firm: Amanda K. Brady, global practice leader of the Law Firm Management Practice, who splits her time between the New York and Houston offices; and Nesli Orhon, the national account delivery manager and head of professional development for the Solutions Practice Group, who is based in Boston. With the addition of Amanda and Nesli, MLA’s partnership is now 52 percent female. Amanda Brady leads the Law Firm Management Practice, which specializes in placing senior business professionals in law firm operations, finance, marketing, business development, strategy, pricing, human resources, recruiting and professional development, technology, knowledge management, and practice management. Amanda, who was included in Lawdragon's "100 Leading Legal Consultants and Strategists” for 2016 and 2017, has more than 15 years of executive and legal search experience, over 10 of which have focused on building executive management teams for AmLaw 100 and 200 firms. 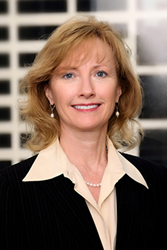 She is a fellow in the College of Law Firm Practice Management, an honorary organization made up of individuals who have made significant and sustained contributions to the field of law practice management. Amanda has an M.S. in Law Firm Management from George Washington University. Nesli Orhon, as a leader within the Solutions Practice Group, specializes in the recruitment and placement of experienced contract attorneys and paralegals for substantive assignments in both law firms and in-house legal departments. She joined Major, Lindsey & Africa from another company in the Allegis Group network, Aerotek, where she was responsible for placement services in the renewable energy, biotechnology and pharmaceutical industries in the greater Denver area. Nesli graduated from the University of New Hampshire with a B.A. in English/Journalism.